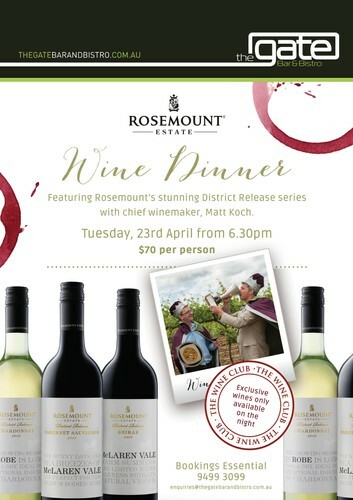 We're relaunching The Gate Wine Club with the Rosemount Wine Dinner. 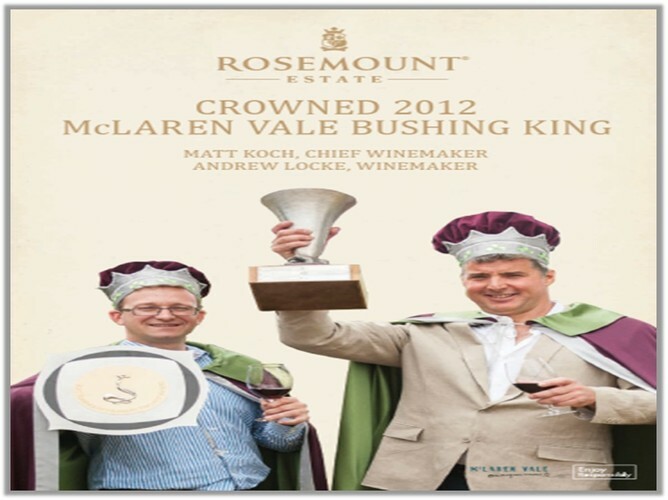 Join us for an evening of delicious food, matched with some stunning wines from Rosemount Estate. The night features six Rosemount wines including the great District Release series, originating from McLaren Vale, as well as others available exclusively on the night. Tickets are sure to sell out. Bookings are essential. Please phone or email enquiries@thegatebarandbistro.com.au.